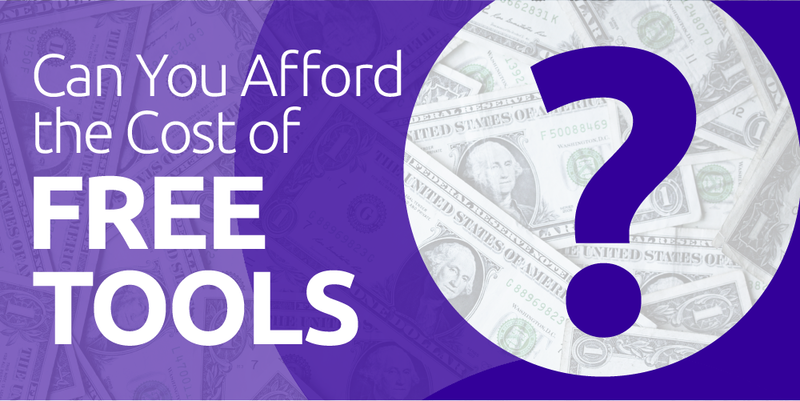 Can You Afford the Cost of Free Tools? Find out why using ‘Free’ migration tools might not be the right solution for you. As companies navigate through the adoption of Public Cloud, Private Cloud, Hybrid Cloud or Multi-Cloud, they are faced with numerous challenges and decisions. Which cloud should be adopted? What are the differing computing and cost models between clouds? Will the cloud really save my organization money? As you evaluate the tools to get the job done, you will find that many clouds offer "Free Tools" for onboarding to their platform or cloud service. There are times when these limited use cases for Free Tools are applicable, but more often than not, they just don't get the job done. Can the tool address all of your workloads? Physical, Virtual, Cloud, Windows, Linux, Ubuntu, SLES, Oracle Linux - Every tool has limits, and it's important to know how much coverage you will get. You want the tool to cover the majority of your needs. If you have mostly physical servers, you need a tool that can take those servers where you want them to go. What is the tool's footprint? Some tools have complex setups, storage needs and require a lot of moving parts. It can take a significant amount of time to get it all setup and working right. What are the access requirements? Some tools require hypervisor level access. This can be a tough sell, especially in shared environments. If you are migrating from hosted environments, hypervisor access may not be available. Migration is often a multidisciplinary exercise (Deep Linux and Windows knowledge), and often require's highly skilled team members to execute, troubleshoot and otherwise fill in the gaps in the features and capabilities of free tools. Last and certainly not least, where will you go for help? There is a lot of knowledge out there in the forums and internet searches, but it does still cost time, and time is often in short supply. Migrating with a Free Tool can be very difficult and costly in the long run. Two important things to consider are the complexity of your workloads and infrastructure and the level of skills available within your organization. The amount of expertise needed can be overwhelming. You may think your team is equipped with the right knowledge, but you can soon find yourself in a situation that will cost you a lot more to get yourself out of. Leveraging forums and not having a team ready when something goes wrong can be frustrating and time-consuming for your internal staff. RiverMeadow has put together a suite of SaaS-delivered features and capabilities that are Migration-centric and designed to deliver cloud native workloads simply and cost-effectively. We believe the value we deliver is higher than these those free options when you evaluate the hidden costs of "Free." Let's take a deeper look at what you get and what you don't get with some of the Free Tool solutions on the market today - Click the button below to download the Free pdf comparison chart of your choice. Beware the temptation to choose the ‘free’ path for onboarding to cloud as it may end up costing you considerably more in time, money and effort in the long run. Contact RiverMeadow here to find out more about how our powerful SaaS Cloud Migration Platform and expert Managed Migration Services can help you achieve the results you need.